Businesses that run mission critical applications or customer facing applications or services, have to make sure that the systems are up and running all the time and any system issues are serviced immediately. Most of the modern IT infrastructure needs constant attention even if the possibility of a critical failure has vastly reduced with advancements in technology. Indicus offers simple cost effective solutions in managing systems remotely and resolutions for IT support requirements. Our development center in Pune (India) provides captive development unit services to clients anywhere in the world. Take advantage of having your own team without the liabilities or added costs. 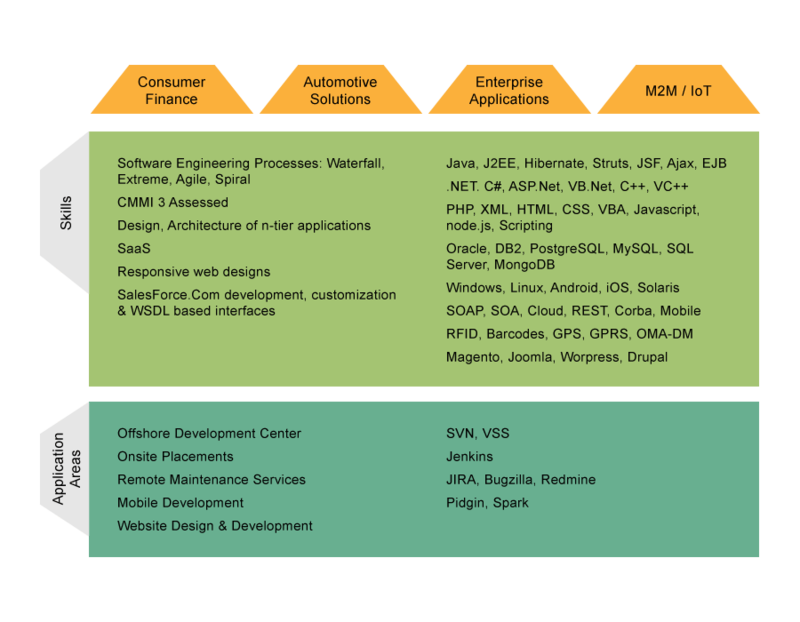 In this age of globalized and cost conscious business operations, sometimes it just does not make business sense to have your in house applications development unit. Not only could the costs be an unnecessary overhead, you would also be burdened by various administrative responsibilities which could hurt your bottom line and come in the way of serving your customers more efficiently. 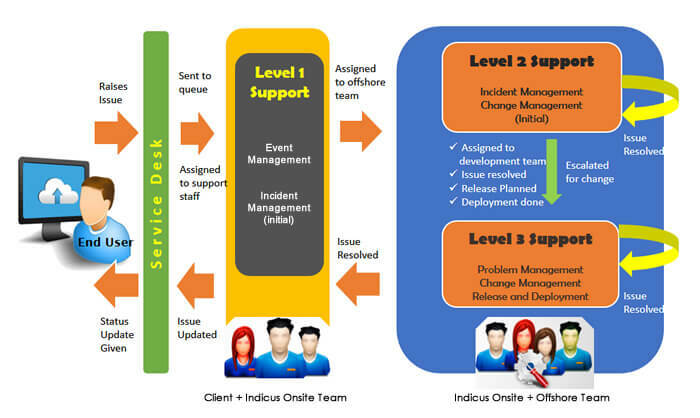 Indicus Software addresses this common problem by offering to its customers the capability to set up an offshore development center (ODC) in Pune, India, with a team that is dedicated to handling the technology needs of just one customer. This gives the customer much more flexibility and scalability when it comes to managing technical resources and also the assurance that projects are handled by a proven team that has the required business know-how combined with technical expertise. The cost advantages are equally important as they directly contribute to the customer's profitability. No (or extremely low) initial investments - leverage Indicus Software's existing infrastructure and team to drastically cut your time-to-market time and also save on the huge cost of setting up your own unit. Focus on core business - the customer can focus on its core business functions and rely on Indicus Software's proven technical capabilities for all its technology needs. Highly flexible model - team size, capabilities, structure and priorities can be changed as per changing needs of the customer. Vastly reduced running costs - take advantage of vastly reduced running costs as the unit is operated in a more economical location where operational costs are much lower. Better access to skilled resources - having an ODC in India brings with it the ever expanding pool of highly skilled technical resources in the country. So there is never a shortfall of talented and skilled team members who can deal with customer projects. No additional headaches - all administrative responsibilities of the team are taken care of by us. This eliminates additional responsibilities that would otherwise fall upon the customer, adding to his expenses and efforts. Completely "in sync" - All processes for development, testing, configuration management, documentation, etc. will be as per those followed by the customer. This ensures seamless integration between the customer's team and the ODC team. Leveraging our varied technological expertise and our CMMI Level 3 quality processes, we identify business problems faced by our clients and provide them with a full set of custom solutions starting from conceptualization to implementation and followed up with exceptional support. Very often, your business needs a specific type of application that is simply not available in the market as a packaged solution. In such cases, the best option is to build a custom solution from scratch that caters specifically to your business scenario and requirements. At Indicus Software, we specialise in delivering custom built solutions for a wide array of domains and customers. Our extensive experience in all phases of the software development life cycle gives us the ability to conceptualise, design, implement and support systems that add value to your organization, have a direct impact on your bottomline and put you in a better position to serve your customers.